Prime Minister Edi Rama gave more details today relating to the NATO project - the militari base in Kuçova, Albania. The head of the Albanian government said that this investment amounted to more than 50 million euros, while adding that this investment will be translated into more jobs and economic development for the area. "We took NATO's commitment to invest more than 50m euros on this basis. It is actually an investment that will enable the transformation of this NATO military space that will serve as its base for pilot training center. This will also be a national base for Albania's air forces, creating the possibility of a new standard of armed forces in this particular sector. This investment will create new opportunities where building a recent technology air base will mean more employment and economy within a radius around it. But I think it is in the attention of all that we are very seriously committed to meeting the objectives set in each country within the alliance. The 2019 Budget for Defense is a true reflection. This budget amounts to 22 billion ALL and represents a 10% increase compared to this year," Rama said. 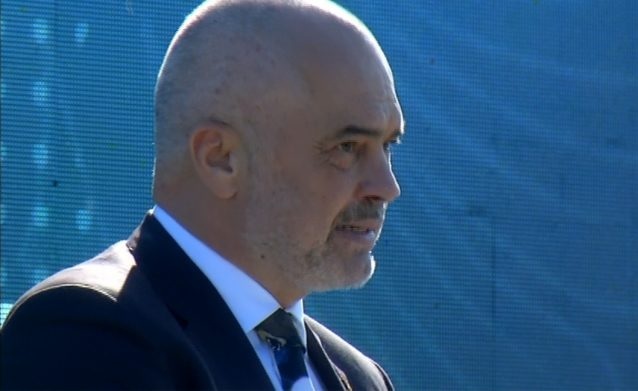 Prime Minister Edi Rama said inter alia that the Ministry of Defense in cooperation with the Ministry of Health are working for the establishment of the Center for Civil Emergencies. "We have pushed forward US co-operation over the modernization of military capabilities. After the modernization of the Kuçova Military Base we will modernize the Farka Air Base. Together with the Ministry of Health, the Ministry of Defense is working on raising the Emergency Center to solidify with the people in need, Ministry of Defense in this way will have the functioning and full administration of Civil Emergencies. Not only will we increase the salaries of the Armed Forces, but we will increase significantly. Those who have represented Albania in various missions and have made us proud "- said Rama. Through this project, which is expected to begin within this year, Kuçova will serve as a base for NATO support for air transport; logistical support; support for air policing; as well as training and coaching the Alliance. Kuçova will also serve as a national base for the Albanian Air Force and NATO investment in Albania will bring a new standard for the Armed Forces and investment.